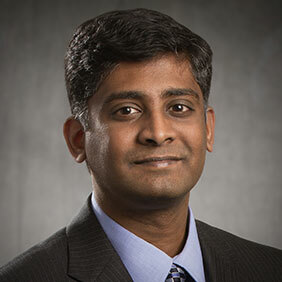 [Manassas, VA – September 7, 2017] - ZESTRON, the global leading provider of high precision cleaning products, services and training solutions in the electronics manufacturing and semiconductor industries, is pleased to announce that Naveen Ravindran, M.S.Ch.E, Application Engineer will present “PCB Surface Finishes and the Cleaning Process - A Compatibility Study” at SMTA International 2017, in Rosemont, IL. All PCBs that are manufactured require a surface finish to protect exposed copper on the surface which if left unprotected, can oxidize, rendering the board unusable. To address this issue, it is common to surface treat the PCB prior to assembly and reflow. The surface finish not only prevents oxidation of the underlying copper, but guarantees a solderable surface. However, as circuit complexity and component density have increased, HASL has reached its limitations, necessitating the need for thinner coatings. Thus, coatings such as Immersion Tin, Immersion Silver, Organic Solderability Preservatives, and Electroless Nickel Immersion Gold are becoming more widely used. Depending on the cleaning process employed, it is possible for stains to appear on the plating or in the worst case, for the plating to be completely stripped from the PCB rendering the applied surface finish useless. This study was designed to investigate the effect of reflow and various cleaning agent types on surface finishes. Additionally, baseline tests were conducted on boards with all finish types without exposure to reflow or the cleaning process in order to assess the effect of the reflow process. Visit ZESTRON’s booth #215 at SMTA International 2017 where our team will be available to discuss our complete family of PCB and semiconductor defluxing agents.